Stir the butter and Swerve together, then add the cream cheese, egg, and vanilla extract and stir that up. Add the flours to the mixture and stir until well blended together. 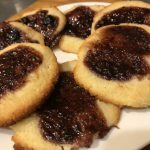 Spread sugar-free berry jam on top of each cookie. 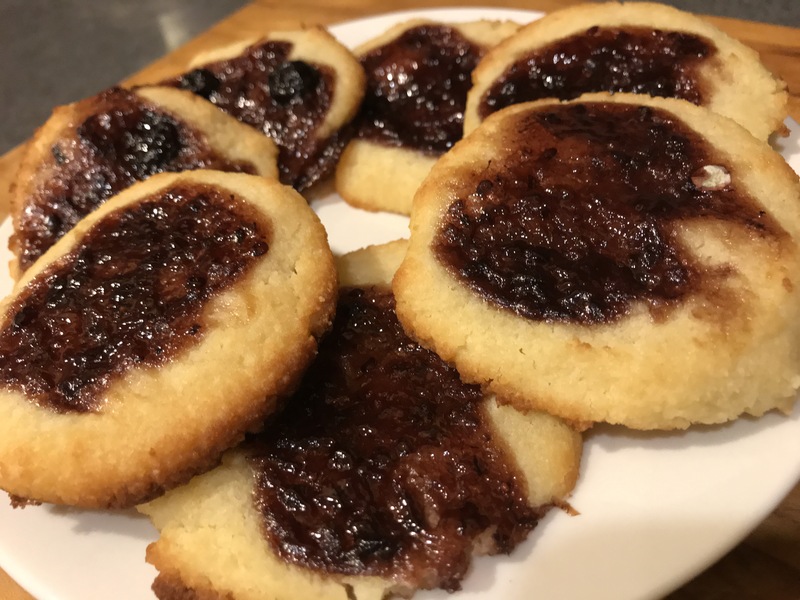 It may be easier to make rolls and cut cookies if you set the dough in fridge for an hour, which wasn't done in the video recipe.